I have always loved embroidery, especially exquisite traditional needlework. When I was a child I did a little cross stitch and other needlework. This was long before home embroidery machines were available. But creating by hand was too slow and tedious for me, so I abandoned my projects until I got my Brother SE400. The SE400 can’t stitch these designs. But I still love to look at them for inspiration. I lived in the hills outside of Assisi, Italy for 13 years. Assisi is the charming Italian hill-town where Saint Francis was born and is one of my favorite cities in all the world. Thanks to local building regulations, much of the 14th century town is preserved. One time, I was strolling around the back streets away from the usual tourist spots when I noticed women sitting in front of their homes embroidering in a style I had never seen before. They were filling in the background with an unusual type of cross stitch and the motifs were only outlined with a running stitch. The interior of the motifs were left plain or “void.” This was the opposite of the needlework I did as a child, where I embroidered the motifs and left the background plain. It was beautifully worked. The designs were rather strange like the medieval symbology which you see everywhere in the churches in Italy. Assisi embroidery is based on a medieval Italian tradition where the motifs are outlined in a double running (Holbein) stitch, leaving the interior void. In the earliest work, the stitches were not counted. The design was just drawn freely on the linen. In modern adaptations, Assisi embroidery is counted-thread embroidery. 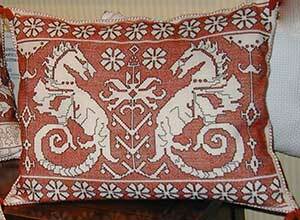 Traditionally, the background was densely filled with long-armed cross stitch. 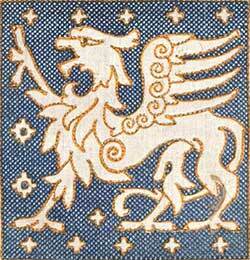 Normal cross stitch is also used especially in modern Assisi embroidery. The actual design is created by the unworked natural linen fabric which shows through against the worked background. You can’t see it so much in this photo, but the “negative” effect gives Assisi needlework a woodcut quality that I find very rich and unique. The following characteristics make Assisi Embroidery so powerful and charming, and distinguish it from other voided styles. Traditional motifs were based on medieval symbology featuring grotesque figures of satyrs, demons, ancient mythical birds and animals, beasts. Other patterns look like flowers, branches, leaves, fruit. Often a candelabra design is used to separate the mirrored motifs. The designs are beautiful and very mysterious. Earlier designs from the 13th and 14th centuries are more primitive, rugged. In the 15th and 16th centuries, they became more sophisticated and natural. The motifs are laid out in symmetrical pairs surrounded by elaborate scrollwork. Some motifs are used to connect different parts of the design so that there is never a lot of empty space. Often these motifs are designed in a very beautiful way that draws the eye to the main motifs. The repetition and symmetry of the motifs give movement and rhythm to the piece. The top and bottom of the design was usually bordered by repeating geometric or flower motifs. The borders are worked in a straight stitch with an occasional cross stitch. The color is usually the same color as the background. Assisi embroidery is worked in only two colors—one color for the background and a contrasting color to outline the motifs. Traditionally red, blue, green or gold was used for the background with black or brown outlines. Tablecloth worked by Antonietta Mancinelli, Accademia Punto Assisi. 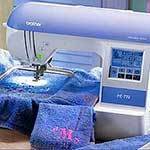 Italy has an ancient tradition of arts and crafts including embroidery and other handicrafts. In the 13th century, an embroidery style was created in the convents probably by the Poor Clares that became the basis for Assisi embroidery. 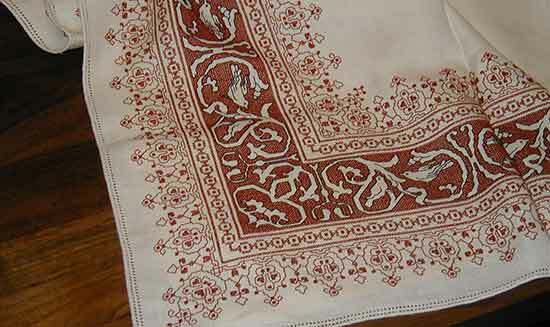 The motifs were voided on fine linen cloth with the outlines and background embroidered with colored silk. These articles were used for religious purposes such as altar cloths and chasubles. 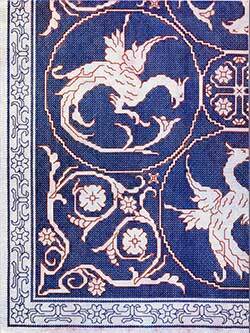 By the 16th century, Assisi embroidery had become very popular and spread into the secular community. However, in the eighteenth century people lost interest and many of the designs and motifs were lost. After the new state of Italy was founded in 1861, a movement was started to rediscover and revive traditional handicrafts and provide employment to poor women. in 1902, the “Laboratorio Ricreativo Festivo Feminale San Francisci di Assisi” was founded in Assisi to accomplish these goals. They took the traditional embroidery techniques and simplified them. Embroidery cotton was used instead of silk. The outlines were counted instead of drawn freely on the cloth. The designs and complicated borders were simplified or new designs created. The background was done in simple cross stitch. The color schemes remained the same. 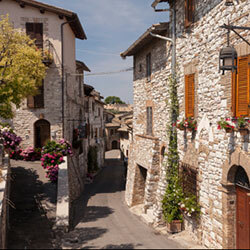 This cottage industry flourished and the more modern designs spread throughout Italy, Europe and rest of the world. In Assisi, the traditional style is still alive and you can see local women sitting in front of their homes, embroidering for the local co-operative embroidery shop. 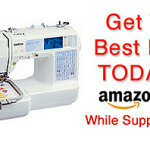 Are you interested in hand embroidery? I hope you enjoyed leaning something about this fascinating embroidery style as much as I did. Please leave a comment. I’d love to know what kind of embroidery you do and what you think about Assisi embroidery. I embroidered a linen tablecloth with an Assisi design first published in Venice in the mid-1500’s, using the design to make a large square in the middle of the cloth. Because the design — of somewhat stylized grapes and grape-leaves — was so very complex and intricate, I used regular cross-stitch. It turned out beautifully after a year of of-and-on work. Assisi design is gorgeous — but I’m not sure that I’ll ever do it again! I prefer satin and split stitch. 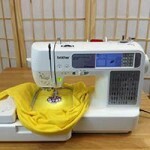 All my embroidery is done by hand, as well as couching and applique.